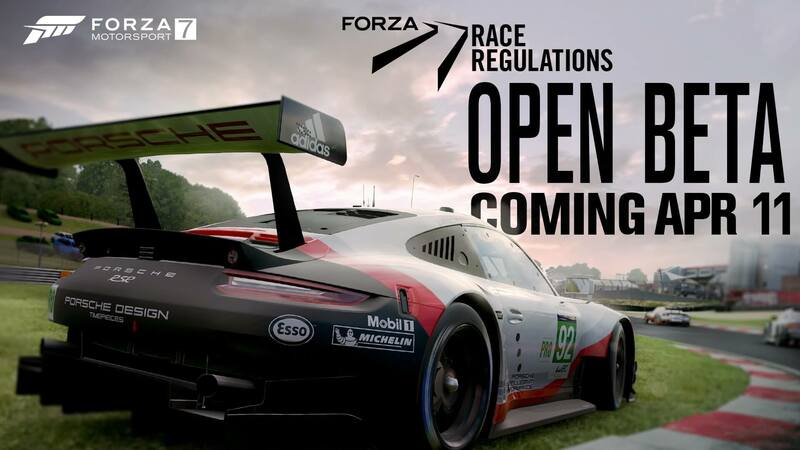 Discussion in 'Forza Motorsport 7' started by GTPNewsWire, Apr 12, 2019. This article was published by Kyle Patrick (@SlipZtrEm) on April 12th, 2019 in the Forza Motorsport 7 category. White Mamba, VBR, JoueurGT and 1 other person like this. raven214, beyond72, Sander 001 and 2 others like this. Without some sort of license and safety rating this is of minimal value. I'm very happy to see it as it gives me hope they might actually release something decent with Forza 8 but we'll see. Watching what GT sport has done makes me think Forza's future is only in arcadey has-been if they don't get this right as frankly, what GT-sport has done with their online appear to blow Forza away. I personally gave up and went to iRacing and other PC sims but I'll come back to FM8 if they can do something with a true license and safety rated scheduled racing like GT, iRacing, maybe ACC2 are doing. breyzipp and RaceFuchs like this. A perfect start in the right direction. I'm not going to doubt T10 on this one, because they've been a great job with the updates lately. For online racing, this only a start, and with our feedback, this will go huge for the future of Forza! "...go off-track, and you’ll trigger an algorithm. Once you return to the tarmac, the algorithm will work out if you gained any time from bypassing the track limits. If you did, you’ll be hit with a penalty, meted out in full seconds. If you didn’t, then the penalty warning on the HUD will simply disappear." I've been saying for years that what we need in racing games/sims is some kind of intelligent Steward's AI program, instead of the simplistic knee jerk reaction penalty systems we currently have. This sounds like a step in the right direction, & kudos to Turn 10 for making it happen. VolkswagenX, CTstryk and TokoTurismo like this. So the good news with that is that Microsoft has its TrueSkill rating system. I'm not entirely sure how it works within the Forza world — Playground Games actually touched on it briefly in the Monday stream relating to FH4's leagues. I imagine that, since it's a general-purpose rating system for multiple genres, it isn't exactly ideal, but it should conceivably be able to offer some level of player ranking that could be translated into a visible rank in-game. FM7 has Leagues, but I'll admit I haven't touched them much since launch. I predict most semi-serious racing games like GT and FM will have largely similar systems in place within a few years. It will also remain a fringe appeal: only a small percent of GTS' playerbase takes part in Sport Mode, and I imagine that weighs heavily on Turn 10's decision to implement FRR game-wide. GTS also operates with an algorithm: it's simply different. Same goes for ACC. The multiplayer side of Forza gives it such a bad rep, so this was needed. Hope they don't neglect tweaking the single player side of the game, the ai needs to approve and while Free Play is pretty amazing, they need to iron out the many bugs. Tried it last night and it worked great, better than closed beta videos I saw. Dip two tires off no penalty, go off but gain no time or lose position lose no time. Penalties were fair, minor offs resulted in 1 second. At the end of a few races I picked up an extra spot due to the person ahead racking up penalties. The racing was very clean, no one was doing the usual major cutting. I'm probably going to try it tonight, depending on what classes we're stuck with. It bounces around — I tried it really briefly last night. Not sure if it's the same lineup of car/track combos as regular cycled production, but I saw a 919 Hybrid @ Le Mans and a Lotus Evora S @ Watkins Glen. The team at Turn 10 is still hard at work on the FRR feature set. Future updates will allow players to enable FRR in private lobbies, along with highly requested features like the ghosting of lapped players. In addition the team is working on penalizing car-to-car collisions in the game. Look for more details on all of these updates in the future. Certainly. It's why I left Forza finally after a decade as GT Sport offered an appealing penalty, ghosting, and ranking system. I'd love to get back into Forza, I was like tier 12 in rewards and do love the giant and diverse car selection.